6 signed and numbered espresso cups with saucers - 1 brochure - 1 certificate of authenticity. A perfect journey of style which takes us to several iconic locations in the cities of Trieste, Venice, Milan, Florence, Pisa, and Rome. The 49th edition of Barcolana, Trieste's historic sailing regatta, is also the occasion for illycaffè and Maurizio Galimberti to unveil their preview of the latest illy Art Collection, designed by the photographer: a travel narration which decorates the cup created by Matteo Thun in 1991 with several iconic locations in the cities of Trieste, Venice, Milan, Florence, Pisa, and Rome. 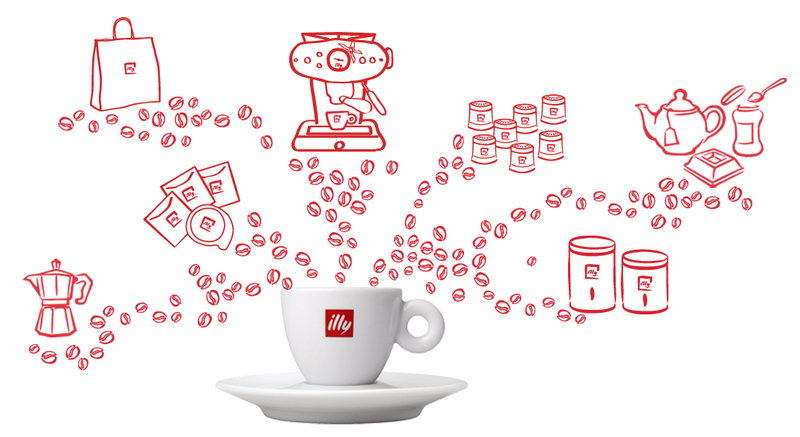 A perfect journey of style which takes us from the birthplace of illy straight to the capital, under the emblem representing the unique coffee blend which symbolizes Made In Italy throughout the world. Available as a set of 6 espresso cups.